Qualcomm said it needs to buy a minimum 70 percent of NXP’s outstanding shares, instead of the 80 percent required in the earlier agreement. U.S. chipmaker Qualcomm Inc raised its offer to buy NXP Semiconductors NV to $127.50 per share on Tuesday, and said it now has the backing of the shareholder group led by Elliott Management that opposed the previous proposal. Qualcomm said it needs to buy a minimum 70 percent of NXP’s outstanding shares in a tender offer, instead of the 80 percent required in the earlier agreement. The latest offer values NXP at $44 billion. NXP’s shares were up 6.5 percent at $126.15 in premarket trading. The stock has traded above the original offer price for nearly seven months as investors expected a revised offer. The buyout of NXP will help Qualcomm, which provides chips to Android smartphone makers and Apple Inc, to expand in the fast-growing market for chips used in automobiles and reduce its dependence on a cooling smartphone market. A deal will also bolster its defence against a hostile takeover attempt by Broadcom Ltd, which has said its $121 billion offer is contingent on either Qualcomm buying NXP at $110 per share or the deal being terminated. Broadcom could not immediately be reached for comment. San Diego-based Qualcomm agreed to buy Netherlands-based NXP for about $38 billion more than a year ago, but some NXP shareholders resisted a sale seeking a better price. Activist hedge fund Elliott, which had resisted Qualcomm’s previous $110 per share offer saying it undervalued NXP, said it was pleased that NXP’s value had been recognised in the revised transaction terms. Qualcomm has also extended its tender offer for NXP until March 5, a day before its shareholder meeting when Broadcom’s slate of directors is also up for vote. Qualcomm had resisted increasing the offer price and last month said it would boost its buyback as an alternative to buying NXP. “Our preference is to close NXP, but not at all costs,” Qualcomm Chief Financial Officer George Davis said on a post-earnings conference call in January. 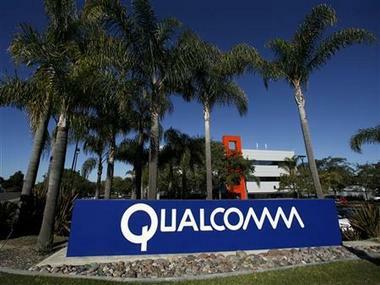 Qualcomm, which plans to fund the additional $6 billion with cash on hand and new debt, said approval from China’s Ministry of Commerce is the only regulatory nod remaining for the closure of the NXP deal. Shares of Qualcomm were down 2.9 percent and those of Broadcom were down 0.5 percent.